For many people commuting is a necessary evil. Most see going by car or van as the 'least worst' option. This study by the researchers at the University of East Anglia challenges that assumption. It suggests walking, cycling or travelling by public transport can lift the mood. Crucially, it suggests those who switch from the car to an active commute feel better across a range of psychological measures, including concentration, decision-making and the ability to face up to problems. 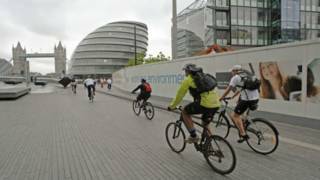 The researchers say policies encouraging people to leave their cars at home could have a dramatic impact on public wellbeing.